Get the details. Great for larger shipments. 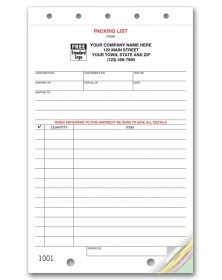 Preprinted areas for delivery information including address, gross and net weight, description of articles and more. Don’t assume a package reached the destination. 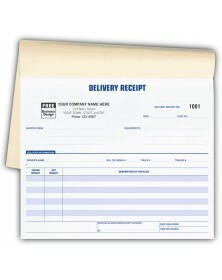 Instead, get confirmation with one of our delivery receipts. For the recipient, these forms indicate the items inside the package, through description, amount, and net and gross weight columns. For your company, these receipts indicate the shipping process went along smoothly. With a signature and a date, a delivery receipt shows when the package arrived. Through our large selection, find forms for large and small orders, each with the fields you need. 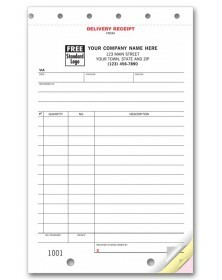 A logo printed on the forms – a service we offer free of charge – lets the customer better recognize the package.